Odeon Entertainment have announced the the first ever UK DVD release of three vintage genre works, two of which appear under their new Hollywood Studio Classics collection. It's 1912 and Greece is beset by war and pestilence. 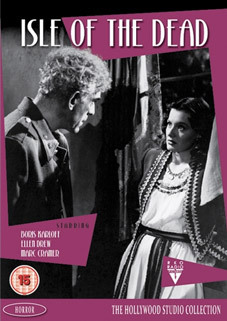 As his troops bury their dead after another bloody battle, stern General Pherides (Boris Karloff) goes to visit the grave of his wife, buried on an island nearby. He's horrified to see her tomb has been looted and learns grave robbers are to blame for the desecration but there is worse news to come: plague has come to the island. The doctors are powerless but perhaps the sickness has another cause. Could it be that a 'Vorvolaka' – a vampiric demon – is at large on the island? And is there anything that can stop it? Release date is 6th June 2011 at the RRP of £9.99. The release date is 13th June 2011 at the RRP of £12.99. Best of British collection trailers. Robert Mitchum stars in this atmospheric but little seen western from celebrated director Robert Wise. 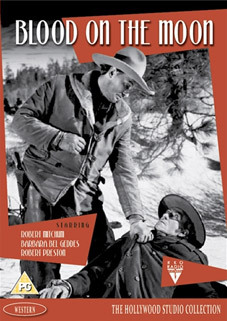 Jim Gray (Mitchum) has been summoned by his old friend Tate Rilling (Robert Preston), who needs another set of guns to help in a dispute with his neighbour, John Lufton (Tom Tully). But Tate's got more on his mind than a simple feud: his scheme is to drive Lufton off his land and he doesn't care how he does it. Jim reluctantly supports Tate at first but, disgusted by his greed, switches sides. Joining Lufton – and his feisty daughter Amy (Barbara Bel Geddes) – Jim finds himself squaring off to his old friend. 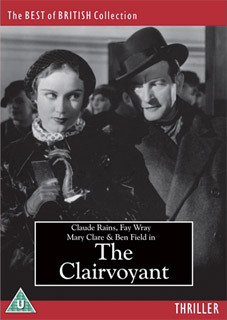 Release date is 13th June 2011 at the RRP of £9.99. The only listed extra is a photo gallery.